PRE-REGISTRATION IS HIGHLY RECOMMENDED FOR THIS WORKSHOP. A travel-guide for the inner journey to the Sacred Heart, using Vedic roadmaps and experiences of sages & mystics to point the way attainable with Sanskrit mantra. • Basic practices and advanced mantra disciplines. • Hrit Padma teachings from several religions, mystics and some contemporary yoga teachers. Includes detailed 15 page handout & recording of all mantras. The Vedas teach about the Hrit Padma, the ‘city of Brahman’ within a ‘hidden chamber of the heart’. Jesus taught of the kingdom of heaven within. Ramana Maharshi spoke about the ‘Dahara Akasha’. Saint Teresa of Avila wrote of the ‘Interior Castle’. Buddhist scholar D.T. Suzuki wrote of a space deep within our hearts containing the world and the stars. Islam teaches of the hidden Imam within the heart. The Upanishads teach that this space within the heart “is to be sought after, and what is there one should desire to understand”. 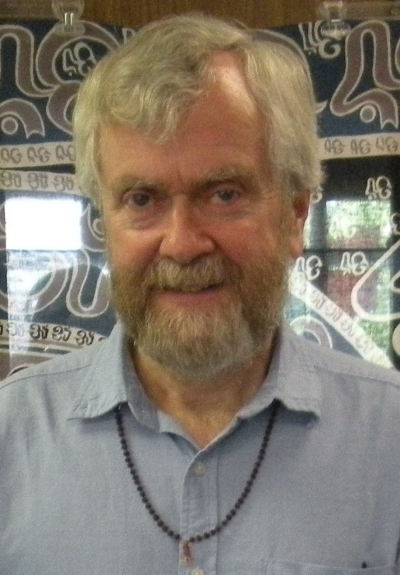 Bill Francis Barry is a certified Teacher of Mantra & Vedic Priest, with a BA degree in Yoga. He has been a student and practitioner of mantra, yoga and Vedic studies since 1969. His studies included in-person training with Namadeva Acharya, Yogi Bhajan, Swami Muktananda, Swami Satchidananda, Mirabai Devi; plus works of Sadguru Sant Keshavadas.